Klayman: CNN Can Send Another Reporter to Cover White House: Acosta Should Be Banned! 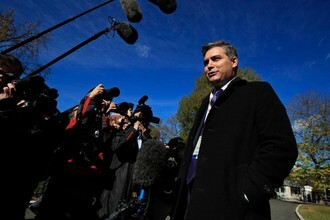 CNN and the network's chief White House correspondent Jim Acosta have asked a federal judge for an emergency hearing after the White House sent Acosta a letter saying it planned to suspend Acosta's press pass again, just hours after the same judge ordered the White House to temporarily restore Acosta's credentials Friday. Unless the judge extends that 14-day order, it will expire at the end of the month. In light of the White House's unexpected action, the network's lawyer requested an expedited schedule which would allow the judge to enter a more lasting preliminary injunction against the White House. The renewed confrontation represents an unusual escalation in the court battle between Trump, on the one hand, and CNN and Acosta, both regular targets of the president's wrath for reporting on his administration.